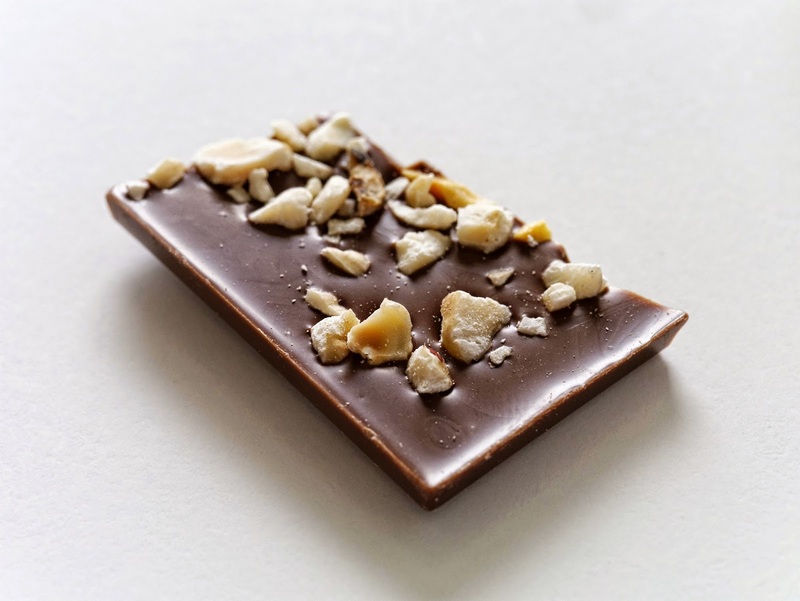 The Green Phone Booth: Will the Best Chocolate Please Stand Up? The Climate Crusader tries to understand cocoa labeling. I love chocolate - and I'm far from alone. Chocolate is awesome. However, some of the practices used in growing chocolate are not so sweet. Forced child labor, human trafficking, pesticide use, low wages for farmers ... the list goes on. Fortunately, there are organizations that work to certify chocolate, so that you can have some independent assurance that your treat doesn't carry a very high cost for someone else or for the planet. But what do these labels actually mean - and which one is the best? I recently did a little bit of digging to find out what's behind the three biggest labels: Fair trade, UTZ Certified and Rainforest Alliance. Fair trade is the label that I am most familiar with. It accounts for 39% of the certified market.The movement works to help producers in developing countries achieve better trading conditions - i.e., more money and improved working conditions - and to promote sustainability. Typically, farmers sell their cocoa to a local fair trade cooperative, that offers a guaranteed minimum price and invests some of the money in the community. Like organic certification, there is no single body behind fair trade, but rather several bodies that offer the certification. Fair trade is the most expensive certification, and typically cooperatives can't sell all of their goods at fair trade prices, so some of the cocoa is still sold at market rates. Also, there are some questions about how fair trade cooperatives are administered and how money is shared. Finally, some smaller-scale farmers actually lose money because they're not able to produce enough cocoa to offset the cost of certification. UTZ Certified is based in Europe, and it's the world's largest organization for sustainable coffee and cocoa farming. It accounts for 25% of the certified cocoa market. Certification is based on a set of social end environmental criteria to promote responsible growing practices and efficient farm management. It offers greater transparency to farmers in terms of how financial premiums are handled, and has more specific environmental requirements. It also offers a traceability system, so that you can know exactly where your chocolate comes from. Unlike fair trade certification, UTZ does not offer farmers a guaranteed minimum price. The goal is to improve farmer productivity rather than improve trading practices. Its certification is also considerably cheaper, which makes it easier for farmers and companies to enter the 'ethical' market, but which can also lead to greenwashing. Also, while UTZ promises sustainability, its environmental standards are not as high as other organizations. For instance, certain chemical pesticides are allowed. The Rainforest Alliance is an NGO based in New York which works to converse biodiversity and ensure sustainable livelihoods. It accounts for 20% of the certified cocoa market. Like UTZ, its focus is on helping farmers to improve their practices, and in the process, their yields. The Rainforest Alliance wants to stop the major drivers of deforestation and environmental destruction: timber extraction, agricultural expansion, cattle ranching and tourism. When it comes to chocolate, by helping farmers be more productive, they can help reduce the need to expand the agricultural land base in order to gain better yields. To participate farmers must meet specific, very stringent, environmental standards. Like UTZ, the Rainforest Alliance is cheaper, and has therefore faced claims of greenwashing as companies opt for a less expensive label than fair trade. There are also no minimum price guarantees for farmers. Also, its seal may appear on products where only 30% of the ingredients were certified. No certification scheme is perfect. However, any one of these does offer a certain guarantee, because an independent party has ensured that the product meets a minimum standard. Which one is the best for you will probably depend on where your priorities lie, and also what chocolate is available to you. And finally, take note that organic certification is separate from any of these three certifications. If organic farming is important for you, look for that label as well. Good food practices simply taste better, too. No harm made from the food or to the environment = guilt-free enjoyment. Thank you for this. I cannot tell you how much time I spend in the chocolate aisle agonizing over this. I didn't realize Rainforest Alliance allowed so much of the content to be uncertified. Maybe that's why I'm seeing that label pop up on more chocolate in the grocery store. This is an issue that hit my radar recently. I try to only buy chocolate that is fair trade and preferably from the Americas (not Africa) b/c I've read that it's so hard to verify slavery-free chocolate from Africa. I really don't want to support child slavery in any form, and it's hard to justify it when it's for what is really a luxury item. My chocolate consumption has drastically dropped since I stopped buying Trader Joe's pound plus Belgian chocolate. And now I even make my own chocolate ice cream so I can use fair trade cocoa. Of course I'm a big fail in lots of other categories. This is one I've chosen to prioritize.